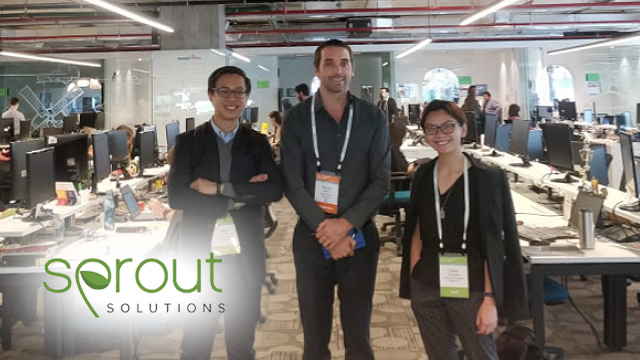 Patrick and Alex Gentry, the co-founders of Philippine human resources (HR) startup Sprout Solutions, have been inducted into Endeavor, the exclusive global network of high-impact entrepreneurs. The two were selected in Endeavor’s 82nd International Selection Panel (ISP), held in Buenos Aires, Argentina from September 5 to 7. The ISP is the last step in a six-to-12 month process every prospective member goes through before being inducted into Endeavor’s network. “Patrick is a good entrepreneur. He’s a very good example of being global and local at the same time,” Endeavor Philippines quoted an ISP panelist as saying. The organization also noted that while Alex wasn’t able to join her husband in the ISP due to her pregnancy, both of them were selected to become members of the network. The business traces its origins from Patrick’s stint in the HR department of real estate firm KMC MAG Group, where he developed an automated payroll software for its employees. Seeing its potential, he eventually spun off the project and founded Sprout Solutions with then-girlfriend Alex in 2015. Since then, Sprout has built a client base of 240 local and international firms that employ over 200,000 individuals combined. These include restaurant chain Shakey’s, automotive manufacturer BMW and education center Kumon. Sprout has also caught the eye of local and international venture capital (VC) firms, as it announced last April that it received $1.6 million worth of seed funding. The round was led by Kickstart Ventures, the VC arm of Globe Telecom, which was joined by Singaporean VCs Wavemaker Partners and Beenext as participants. Patrick and Alex Gentry bring Endeavor Philippines’ count of high-impact entrepreneurs to 19. Other Philippine members include Nix Nolledo from consumer tech firm Xurpas, Meredith Ngo from restaurant chain Adobo Connection and Mario Berta from real estate platform FlySpaces. Established in 1997, Endeavor is a nonprofit organization that aims to improve societies by mobilizing its entrepreneurs. Its network consists of over 1,600 entrepreneurs in 30 countries, who have collectively provided 1.5 million jobs and generated over $15 billion in revenues in 2017.